The Truth About Firming Creams: Can You Really Lift Up Sagging Skin? Once skin is sagging, no cream can firm it and lift it back up: true or false? Sephora & co want you to keep the hope alive. Navigate through their aisles and you’ll find hundreds of lotions and potions promising to lift even the crepiest of skin. Firming creams aren’t the antidote to sagging skin you’re looking for. No firming cream can give you the same results you get with lasers, fillers and cosmetics surgery. But when done right, firming creams do have a temporary tightening effect on the skin that makes the sagging look less noticeable. I’m sure you’ve heard of collagen and elastin. They’re your skin’s scaffolding, so to speak. Collagen keeps skin firm, while elastin keeps it “bouncing back” into place. When you’re young, your skin has plenty of both. As you get older, their production slowly trickles to a halt. Add sun damage, pollution, smoking and all the usual suspects to the mix, and your collagen and elastin degrade faster than ever. Cue sagging, wrinkles and paper-like skin. To add insult to injury, once skin has stopped making elastin, it’s almost impossible to force it to make more again. It just won’t do it. Prevention is key here. Slather on that sunscreen now so you won’t be tempted to waste your hard-earned cash on firming creams that don’t work once the damage is done. But what if the damage’s already done? Besides, sunscreen can prevent a lot of damage, but it can’t keep your skin from sagging at all. Even if you avoid sun damage, at some point natural aging is going to catch up with you. Can Putting Collagen And Elastin Back Into Your Skin Firm It? If your skin doesn’t make enough collagen and elastin on its own anymore, can’t you just put them back in and be done with it? It’s not like there’s any shortage of collagen and elastin creams on the market. 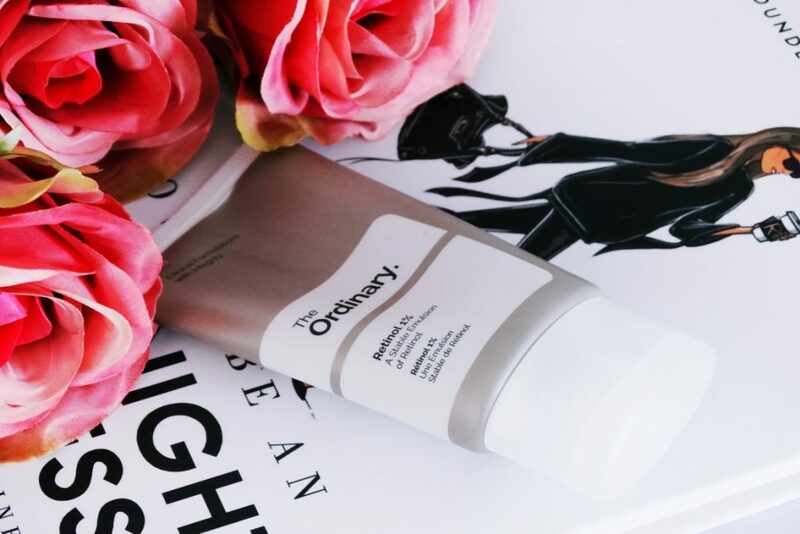 Chopping down collagen into smaller molecules – the “hydrolysed collagen” so popular in skincare today – won’t work either. Hydrolysed collagen is small enough to penetrate the skin BUT it can’t integrate into the skin’s own collagen framework to affect it. Hydrolyzed collagen is too small for that. P.S. This doesn’t mean that collagen and elastin in skincare products are useless. They have water-binding properties that keep skin hydrated for hours. Related: The Truth About Collagen Drinks: Do They Really Work? Here’s the deal: most firming creams use film-forming agents that form a film on the skin and stretch it in different directions. All that stretching makes you skin feel tighter and look smoother. It’s not a huge difference – just enough to make you believe it works. Needless to say, the effects are just temporary. Cleanse your face and your skin goes back to normal. What Really Works To Firm Skin, Then? Don’t lose hope. Not all firming creams use mumbo jumbo and visual tricks to make you believe they’re capable of more than what they can really deliver. Some firming creams are the real deal. But how do you spot them? Easy: they use collagen-boosting ingredients. Yep, adding collagen back into the skin won’t work. 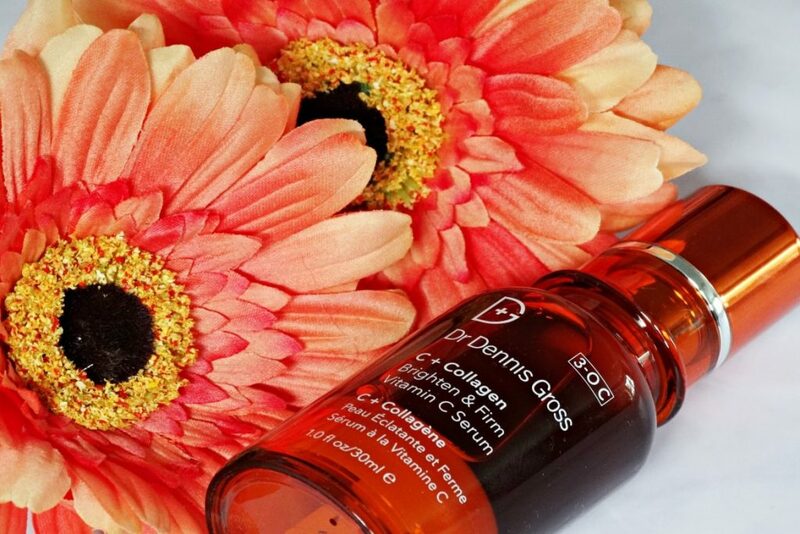 Using actives that can penetrate skin and tell your cells to pump up the production of collagen gives you much better results. Just so we’re clear, boosting collagen production CAN’T reverse sagging and make crepey skin bounce back. But it can help support skin so that sagging is less obvious. 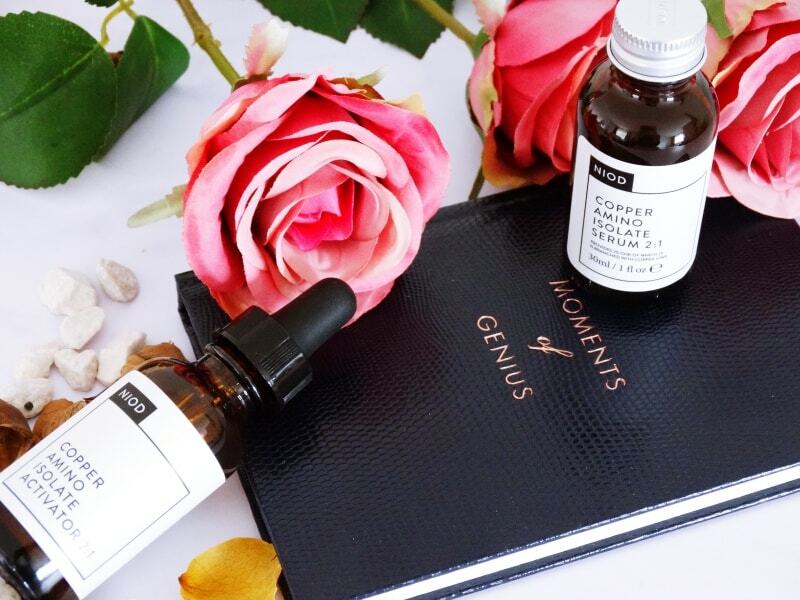 Copper Peptides: copper is essential for collagen synthesis. Copper peptide like GHK-CU boost the production of both collagen and elastin. Just don’t use them too often. Too much copper can have the opposite effect! Glycolic acid: this multitasker exfoliates skin, hydrates it and boosts the production of collagen. It’s more suitable for dry skin. If yours is oily, I recommend you look for another collagen booster or go for glycolic acid peels every few months. Glycolic acid can be irritating, too. Start with a small dose, work your way up and NEVER use it with retinol (I alternate them at night). Vitamin A: retinol, retinaldehyde, tretinoin & co slow down the depletion of collagen and stimulate skin to produce more. Just don’t go overboard. Vitamin A is already effective at <1%. A higher dose doesn’t just mean more collagen. It also means more irritation. Start with a small dose and work your way up slowly. I show you how to do that step-by-step in this post. In case you’re wondering, antioxidants like vitamin C and green tea have some collagen-building properties, too. They’re not as common in firming creams as the 3 actives I’ve mentioned above, but you’d do your skin a disservice if you didn’t use them. Remember, your skin can never get enough of antioxidants! What Are The Best Skin-Firming Creams & Serums? No cream can reverse sagging once it happens. The best firming creams can do – when they contain collagen boosters like retinol, glycolic acid and copper peptides – is to support skin so the sagging doesn’t look so obvious. If you need more help than that, consult your doctor for lasers or facelifts. 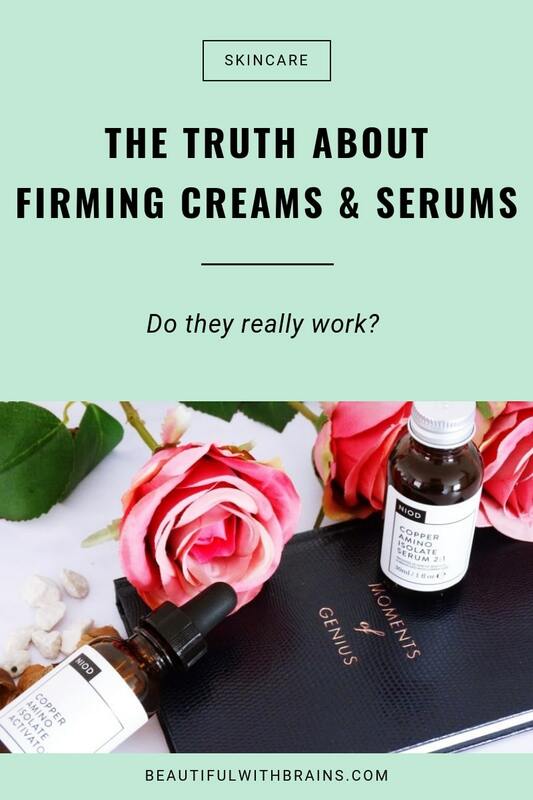 Have you ever tried firming creams and how did they work for you? Share your thoughts in the comments below. Is Sunday Riley C.E.O. Rapid Flash Brightening Serum Worth The Hype (And The Price)? Is Epionce Lytic Tx Retexturizing Lotion The Gentlest Way To Get Rid Of Blackheads? Very informative article, thank you. I always appreciate your posts! Vivella, glad you enjoy them! Hi! I have just discovered your site and I am devouring every article ! For a body firming lotion, I use Avalon Organics body firming lotion. I definitely notice a difference when I stop using it. When I use it daily, my skin looks firmer and more supple. However, is it only because of the hyaluronic acid and the antioxydants? Does Q10 make a difference ? Do you have other suggestions for body lotions that would be firming and/or at least anti-aging? I tend towards more “natural” cosmetics. I just alterrd my face routine following your suggestions, but I need suggestions for body care. 🙂 Thanks! Mem, Q10 fights antioxidants but it won’t have a firming effect. I think it’s just a result of the added hydration as that would definitely make your skin look better. Your best bet is to look for a body cream with retinol. Paula’s Choice makes a good one but it’s not a natural brand. You mentioned not using copper too much, but how much is too much? I use NIOD’s CAIS which I see you have recommended. I am relatively new to the NIOD range and so I have just been following their directions as to frequency of use, once in the morning, once at night every day. Is this too often? Zoe, I prefer to use it every other day, just to be on the safe side. Plus, that allows me to include other actives in my routine, as I don’t like to do too many steps at once. I’m astonished you say to never combine glycolic acid and retinoids. If your skin tolerates it, it’s a highly effective combination. There are products with that combination, such as Alpha H Beauty Sleep Power Peel. Maja, if your skin can tolerate it, by all means go ahead. But when I write this blog, I have to be aware that ANYONE can read it. In my experience, people tend to overestimate how resistant their skin. I get so many emails from people who used them together every single day and are now left with dry, irritated skin. If you’re an experienced user, know what you’re doing and your skin can take it, go ahead. But as this blog is read by a lot of beginners, too I’d rather warn them against it lest they make their skin worse. Wouldn’t that counteract the melanin suppressors (hydroquinone, azelaic acid, kojic acid, etc) I’m using to fight “age spots”? Dollie, copper does contribute to your natural skin pigmentation. If this worries you, don’t use it on your dark spots. You can still use it on the rest of your face.